Lock in a great price for B&B La Maison Haute – rated 9.5 by recent guests! Hospitality. Great design and decor. Good location. Sebastian (owner) was amazing and everything about this location and service was awesome. Very pleased and will be back! Breakfast was great, and our room was absolutely beautiful! Lovely, stylish room that was really clean. The owners were really friendly and welcoming. Delicious breakfast! Great location. The owner is very helpful with great recommendations. Great location and beautiful smell from the soap store on the ground floor! Very nice breakfast, loved the design of the rooms. I don't mind stairs but may be difficult for some if you are on the fourth floor. This was an amazing place to stay. It’s in a very authentic area of Brussels filled with small shops and cafes, as opposed to the sleek downtown area. The owner was so nice, he is also the person who will be cooking your breakfast. It’s absolutely lovely and charming and the owner has a soap shop on the first floor so it just smells heavenly. This was actually how we knew we were getting close to it when we were trying to find it because you could smell the soaps at least a block away. Stay here, you won’t be disappointed. An interesting fact, the painter Bruegel’s home is located directly across the street. An added bonus as I am a huge fan of his work. When you stay here, walk down to Chez Alex for some amazing food and friendly locals. Very comfortable bed, well designed room. Great service. 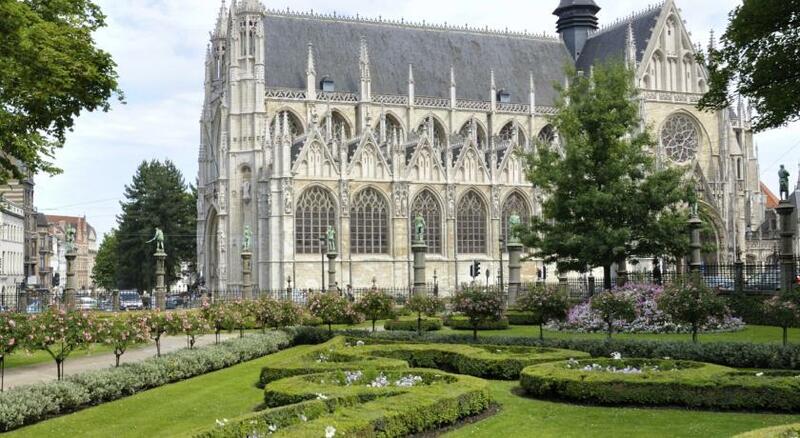 B&B La Maison Haute is located in the heart of historical Brussels, 3,100 feet away from the Grand Place, the Manneken Pis Statue and the city’s shopping district. Featuring modernly designed guest rooms and a shop selling toiletries, this bed and breakfast also includes free Wi-Fi. Elegantly decorated, the rooms at La Maison Haute come equipped with a flat-screen TV, a small seating area and a private bathroom with a shower, a sink and a toilet. The rooms feature double-glazing and wooden shutters. The accommodations serves breakfast every morning, including a gluten-free menu upon prior request. It is just a 2-minute walk to the closest eating facilities, bars and supermarkets. The on-site shop of B&B La Maison Haute is the place where you can buy soaps, bath products and other toiletries. The surrounding neighborhood, Les Marolles, is filled with antique shops and art galleries. 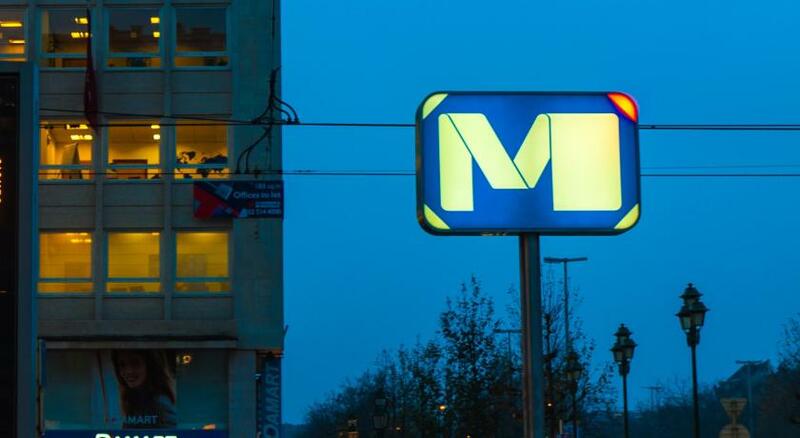 The bed and breakfast is within a 5-minute walk from the closest metro, bus and tram stops, which connect to Brussels’ many districts on a regular basis. 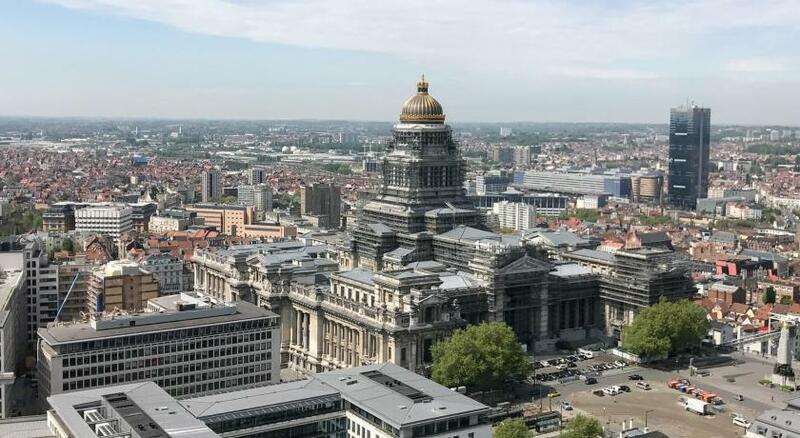 Brussels-Central Train Station is 3,100 feet. 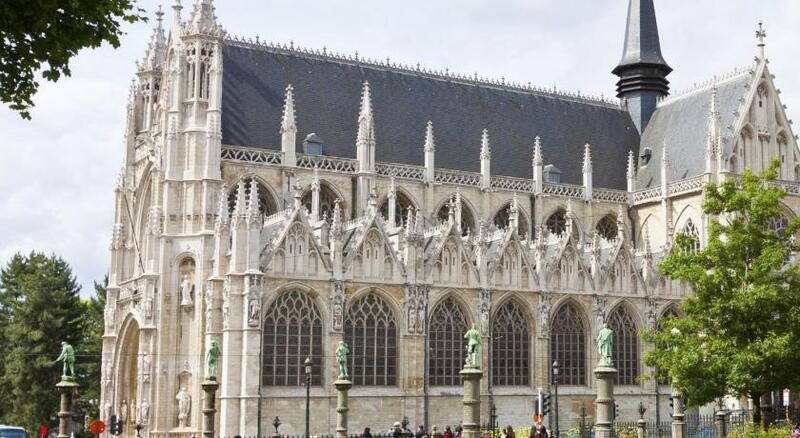 From B&B La Maison Haute, it is a 8.1 miles drive to Brussels Airport. When would you like to stay at B&B La Maison Haute? Offering city view, this room features modern décor, a flat-screen TV and an private bathroom with a shower. Please note that this room is located on the 3rd floor without the availability of a elevator. Please note that the toilet is located in the lower part of the duplex. The staircase down is narrow. This room is located in the attic of the accommodations and is not adapted for people with reduced mobility. House Rules B&B La Maison Haute takes special requests – add in the next step! B&amp;B La Maison Haute accepts these cards and reserves the right to temporarily hold an amount prior to arrival. B&B La Maison Haute accepts these cards and reserves the right to temporarily hold an amount prior to arrival. Please note that this property has no reception. Please let B&B La Maison Haute know your expected arrival time at least 48 hours in advance. You can use the Special Requests box when booking or contact the property directly. Please note that late check-in is subject to request. The property will contact you with further check-in details. Please note that check out is from 7:30 am in the morning and early check-out is not possible. Please note: All payments are made upon check-out. The property does not take any pre-payment, except in case of written demand. Breakfast is served from 7.30 am to 10.30 am from Mondays to Fridays and from 8 am to 10.30 am on Saturdays and Sundays. It was a perfect little hotel, only about 10 walking minutes away from Brussel Centraal Station. That makes it very easy to get around and to do day trips to other cities if you want. It is also situated in a nice neighborhood where you have a lot of different restaurants you can choose from. Sebastien made sure we had all the information we needed before our arrival. The room was very nicely decorated, cozy and clean. Breakfast was awesome!!! You also had the option to make yourself a coffee or tea whenever you want. Superb room, very stylish and comfortable. Excellent breakfast from friendly host. Marolles location central and great for us. Very enjoyable stay. Perfect place to stay. A unique cross between a hotel and an airbnb. Lovely breakfast, stuninng rooms, welcoming host. Ten miutes walk to central station. I dont know why you would want to stay anywhere else really. We didn’t feel we needed the bedding changed every day. Very comfortable bed and extremely congenial host. Delicious breakfast. Lovely friendly accommodating with easy reach of the centre. Very nice breakfast, clean and bright. Our stay was perfect. Nothing we didn't like. That the TV was mostly on French. Who cares actually. The rooms are really beautiful, and the breakfast is as good as described. Actually the description said it was good, i thing is more than good. I had orange juice that was just prepared by Sebastian (the administrator) before taking it to my table. He brought some croissants and other fresh pastries, and also prepared a perfectly fried egg I don't know why some people on comments said that the administrator was kind of rude. It was not my experience at all. He was always kind and helpful (He even printed my boarding pass!). I will definitely come back to this place if i go to Brussels again. People complain about the lack of an elevator, which is true. But Sebastian himself take my luggage to my room, so in my case there was actually no reason to complain. Large room, beautifully decorated, nice linen on the bed. Amazing breakfast. Very clean room. La Maison Haute was very easy to find and it was straight forward to gain access to the room, even though we arrived late and the front desk was not attended anymore. The room was very comfy and the breakfast super lush. Sebastien was very friendly and helpful and his soap shop on the ground floor was stuffed with beautiful and fragrant soaps and care products. I can only recommend staying here. Nothing! Everything should stay like it is! The whole ambience was perfect in this B&B. The room was classic but modern at the same time, with attention to the detail. The building is very well preserved. It is situated in a very nice neibourhood, just 10-15 minutes walk from the heart of the city centre. Everything is so clean and beautiful. The breakfast is amazing.